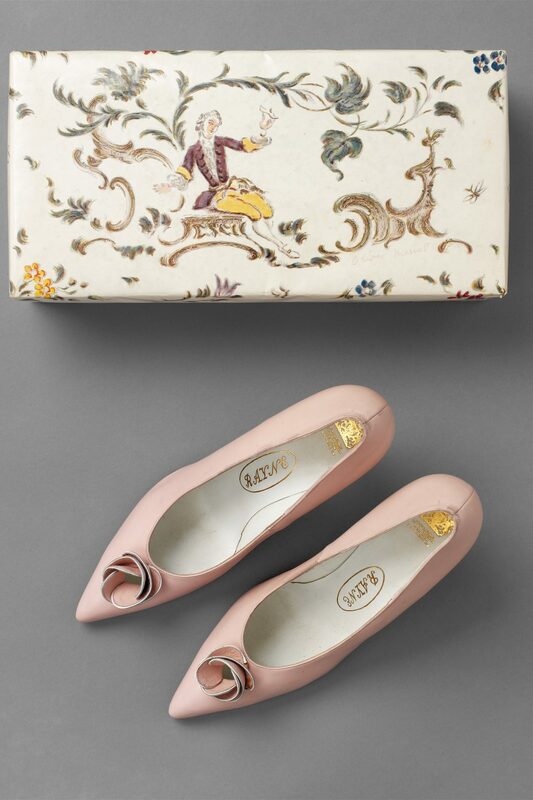 These pink leather court shoes, each trimmed with a leather flower finely piped in white and with the characteristic stiletto heel of the period, were designed by the London couturier Norman Hartnell for his summer collection of 1959. They were made and retailed by H.&M. 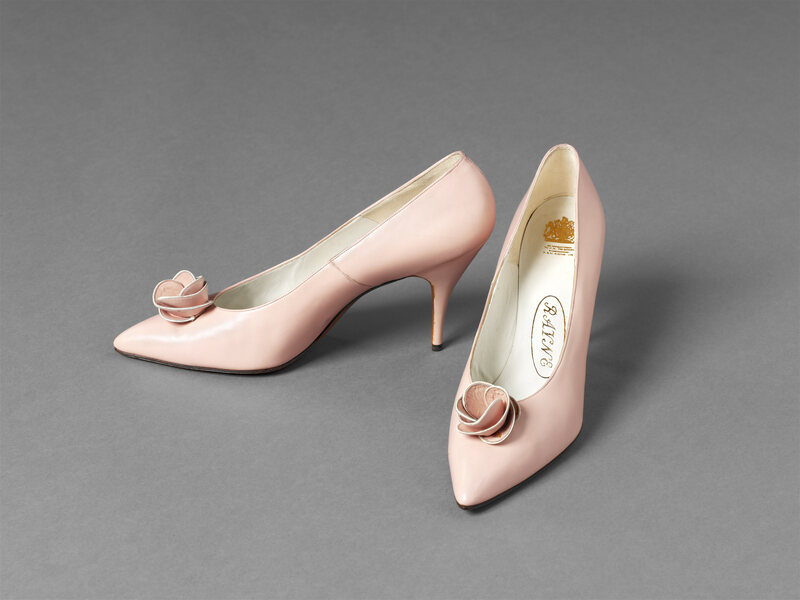 Rayne, manufacturers of high-quality footwear, who collaborated with a number of well-known designers from Hardy Amies to Mary Quant. Rayne was initially established as a theatrical costumier in the 19th century (see Additional Images). 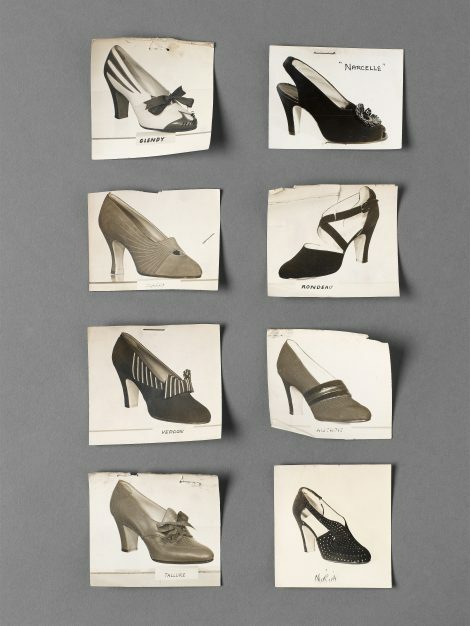 Its growing reputation for stylish shoes that were worn on stage, and later the screen, encouraged the company to enter the fashionable retail market after the First World War, opening shops in Charing Cross Road and Bond Street. 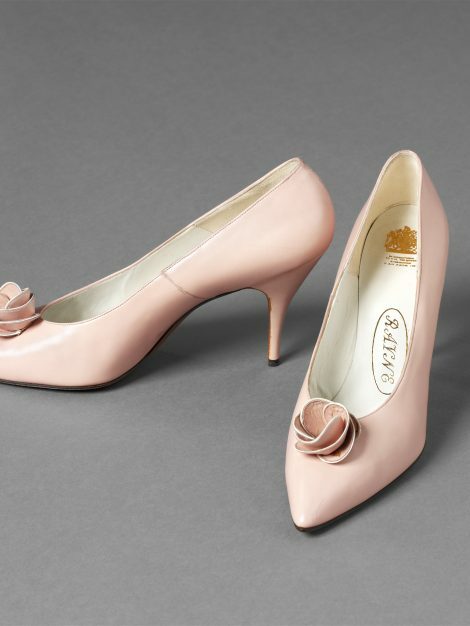 Patronised by members of the Royal Family, it gained the royal warrants of Queen Mary, Queen Elizabeth the Queen Mother, and the present Queen whose wedding and coronation shoes, designed by Hartnell, were made by Rayne. 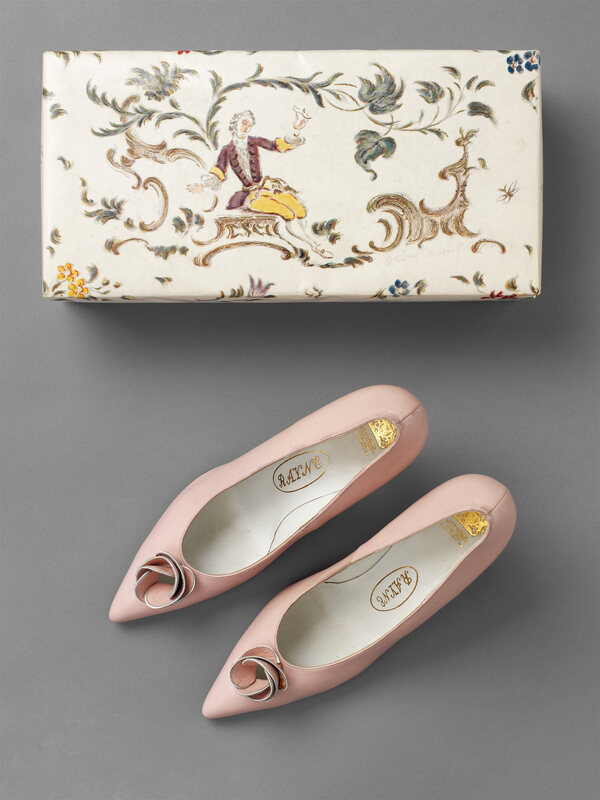 The shoe box was designed by the eminent stage designer Oliver Messel in the playful rococo style for which he was known. Through its theatrical connections Rayne commissioned Messel to expand and remodel the Bond Street shop in 1959. He was given free rein, overseeing every detail of the decor from display cases to shoe boxes, combining a sense of theatre with the luxury of an interior Mayfair house. Rayne’s publicity described it as the ‘prettiest shoe salon in the world, a light-hearted fantasy in white, gold and iridescent silks’.